Are you trying to find ways to engage more viewers with the videos that you publish on social media? Because there are so many videos being published on social media, yours will face stiff competition and need to be able to attract the attention of viewers and keep their interest for its duration. Every video that you create for social media should focus on a single message that is simple and specific. That should allow you to keep the overall length of your video shorter, and at the same time will ensure viewers are kept engaged and not distracted. The audience on social media nowadays has a notoriously low attention span and tend to not watch videos that are too long. Instead they prefer to snack on bite-sized video content that is short – normally under a minute in duration. Creating short videos will help you to retain more viewers and keep them engaged until the end. In part creating videos with a single message will help, but you should also be direct and frame that message as succinctly as possible by focusing on the most important areas. To truly engage viewers you need to tap into their emotions, and make them feel amused, inspired, happy, touched, or some other emotion. As you may have noticed videos that provoke emotional reactions tend to have the most shares, comments, and other reactions – and that is something you should emulate. Make no mistake this is arguably the most difficult aspect of engaging viewers on social media, and pulling it off can be challenging. That being said one of the easiest ways to start is by structuring your video as a story and getting viewers to feel emotionally invested in its outcome. One of the main reasons why videos are generally more engaging than other types of content is because they are visual – and you need to leverage that fact. Always think about how you can ‘show’ information visually, as opposed to relying too heavily on a voiceover to put it across. Considering a staggering number of people watch social media videos without audio, it is best to not rely on it at all. That is why using titles, captions or subtitles can help you to engage viewers who are watching the video on mute. With the thousands of different videos vying for the attention of viewers on social media, you don’t have long to convince them to keep watching. In fact on average you’ll only have 8 seconds – which is why it is important that you use those 8 seconds to make them interested enough to watch your video. The best way to engage viewers within the first 8 seconds is to get straight to the point and let them know what the video is about and how it will help them. By outlining the benefits they’ll gain, you stand the best chance of convincing them it is worth their while to stay and watch. Needless to say if you want the videos that you publish on social media to perform well, they need to have a certain quality and polish. That is why it is important to be able to edit your videos, and Movavi Video Editor can help in that regard. 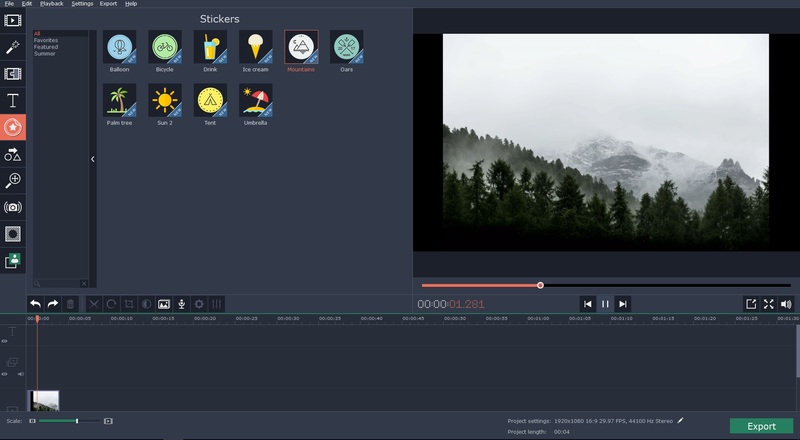 Simply put Movavi Video Editor is somewhat like a Windows version of iMovie – and will provide you with an intuitive and user-friendly way to edit your videos. It has numerous powerful features that you can use to compile videos, enhance their quality, add audio tracks, insert subtitles, apply special effects and filters, including animated transitions, and more. All in all, you should be able to come up with some truly impressive videos using Movavi Video Editor. If you use the tips listed above as well, that should be all that you need to engage more viewers with your social media videos. Read More: How to increase Instagram followers and drives sales for your brand? Next articleAmazon to Increase Prime Subscription Service Fee in The U.S.